Trainer Henry Dwyer hopes Alexandra Dreaming can gain a start in a Listed race at Moonee Valley. Debut winner Alexandra Dreaming is on target for her first attempt at a stakes race at Moonee Valley but trainer Henry Dwyer is likely to delay Group One-placed stablemate Snitty Kitty’s return for a few weeks. Dwyer plans to start three-year-old filly Alexandra Dreaming in Saturday’s Listed Atlantic Jewel Stakes (1200m) after her debut win at Sandown on August 22. “I’m really happy with her,” Dwyer said after the filly galloped at the Valley on Tuesday. “She was very impressive first-up and she hasn’t missed a beat since. Alexandra Dreaming is 21st in the ballot for the Atlantic Jewel which has a field of 14 plus emergencies. If she misses a start, Dwyer plans to run her at Sale on Sunday with a view to progressing to the Thousand Guineas Prelude and Thousand Guineas. 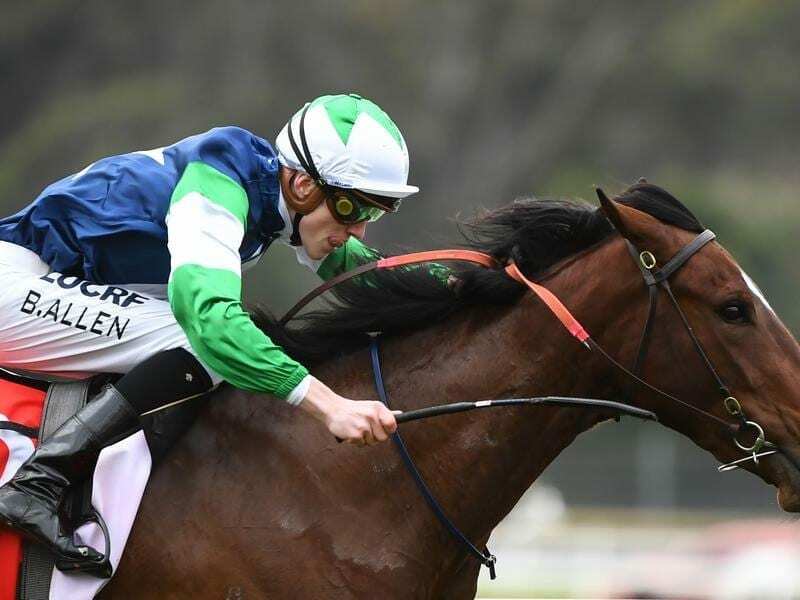 Dwyer has Oakleigh Plate runner-up Snitty Kitty nominated for Saturday’s Group Two McEwen Stakes but is more likely to wait until the Group One Moir Stakes (1000m) rather than take on Nature Strip when the mare is not fully wound up. Dwyer is happy with the way Snitty Kitty has come back after spelling in Queensland and he believes she is in for another good preparation. “This time she’s a similar fitness level (to previous campaigns) but she will be up there eye-balling Nature Strip and those sorts of horses and I’m not convinced that that’s the best way forward for her, having a really hard run first-up when she’s probably not 100 per cent ready to win,” Dwyer said. If she doesn’t run on Saturday, Dwyer plans to give Snitty Kitty a trial at Cranbourne on September 17, 11 days before the Moir Stakes.